As part of a larger investigation and evolution of rehabilitation paradigms for those with chronic ankle instability (CAI), Cameron J. Powden, PhD, LAT, ATC, assistant professor, Department of Applied Medicine and Rehabilitation at Indiana State University, led a research team with colleagues from the University of Kentucky and Old Dominion University, to examine the effects of a 4-week multimodal rehab program on range of motion (ROM), strength, and balance in those with CAI. The results were reported in the poster, Effects of a Multimodal 4-Week Intervention on Range of Motion, Balance and Ankle Strength in Those With Chronic Ankle Instability,3 which revealed this multi-modal intervention has the ability to lead to robust improvements in a wide range of CAI impairments. This highlights the need for clinically relevant studies to address the situation, which is a reason Powden chose to include measures that were relevant to clinical practice—range of motion, strength, and balance. The researchers used a patient population of 20 physically active adults (15 female, 5 male) with self-reported CAI, and the 4-week intervention consisted of a dozen supervised rehab sessions and daily home exercise. Supervised rehab included progressive balance training, PNF ankle strengthening and Maitland grade III anterior-to-posterior talocrural joint mobilizations. At home rehab included gastroc-soleus complex stretching and resistance-band ankle strengthening. 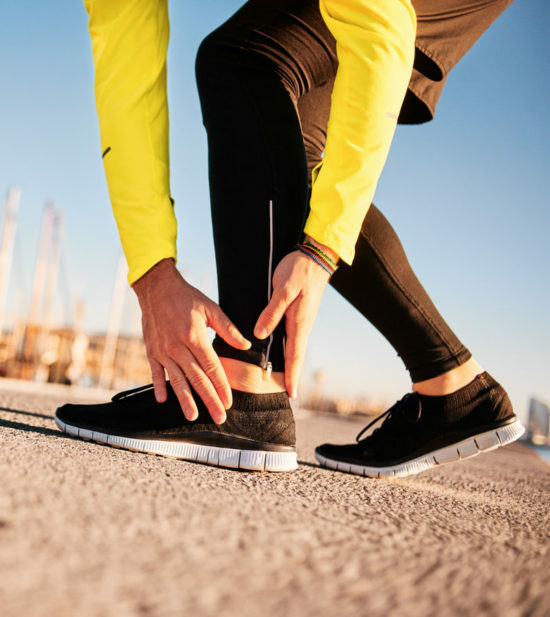 The researchers concluded that the 4-week program significantly improved ROM, ankle strength and postural control for as much as 2 weeks for those who completed the study. The improvements were equal to or stronger than those demonstrated in the literature for many of the isolated interventions. Furthermore, the study provided a great model for clinicians as it presents a simple intervention and many meaningful outcomes that could be collected to track progress in this population.